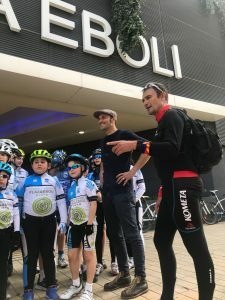 The kids from the Plaza Eboli Cycling School of the Fundación Contador were pleasantly surprised a few days ago when they received the visit of the Italian Ivan Basso. 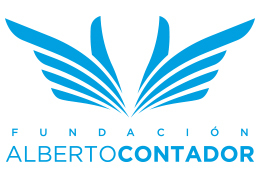 The former Transalpine rider, sports manager of the continental Polartec-Kometa and Trek-Segafredo worldtour team embassator, did not want to miss the opportunity to greet its members taking advantage of his presence in Madrid due to a working trip related to the continental team. Basso went to the school’s facilities in the Plaza Éboli Shopping Centre to get to know them in situ and, at the same time, to go deeper into the work and initiatives that are being carried out there. “It was a very beautiful thing to live for,” said the double winner of the Giro d’Italia. “To contemplate this enthusiasm in children, to see that it is not only a simple matter of riding a bike, but that it goes beyond that, that it is about sharing, about collaborating, about exchanging,… It is a very pleasant experience. I think that all this gives much more educational and moral value to the bike. It’s been a very special day”. “I find it very interesting that the center of this activity is in a shopping mall, a public place, accessible to many people. It is a great place to offer and promote these types of activities. And the structure of the person behind it is very competent, fantastic. Félix [García Casas] is a great person, but also a great connoisseur of this sport in all its angles and facets”, he contributes. “We are delighted, and very grateful, to have such facilities in our cycling school, a well-equipped facility that not many schools unfortunately have. 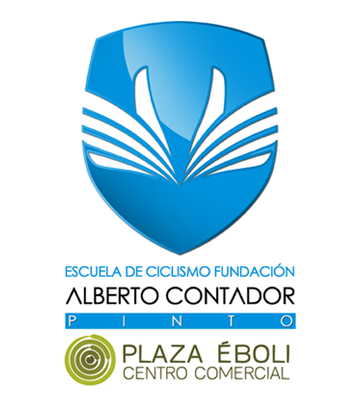 We are privileged to have such a good infrastructure”, emphasizes Félix García Casas, the head of the school, who is also the sports manager of the Foundation’s teams, about the facilities in the Plaza Eboli Shopping Centre. A García Casas who expressed the feelings of the members of the school when he received such an illustrious visit: “Their faces were not lying: they were hallucinating”.